American Indians often traveled hundreds of miles by foot and horseback to obtain the unique stone from which they made their pipes. 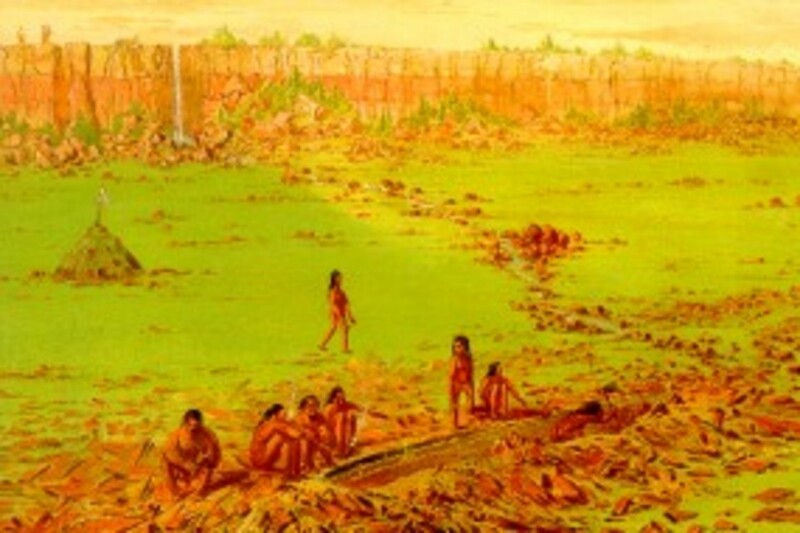 The site of our quarries, from which the pipestone is obtained, is considered sacred ground. A widespread legend among the American Indians is that the red stone is made from the flesh and blood of their ancestors. This gives the red pipestone a great deal of sacredness that commands reverence. Long before the first white man arrived in our area, Indians of many tribes would come here to obtain the prized red stone. Their pipes were of many styles, shapes and designs. They used them on many ceremonial occasions, solemnizing the event. Today, the wonderful art form of pipemaking continues. Indians quarry the red stone much as they always have, and continue to create pipes and crafts that are unmatched in quality and originality, all by hand. It is truly an art form that warrants preservation. The Sacred Pipe or Calumet is most often referred to as the Native American Indian Peace Pipe. First seen by white French missionaries, the name was derived from the structure of hte "stem" and related to a flute, tube, or reed. Most pipe stems were made from ash or sumac. Today, sumac is still used along with pine, redwood, and cedar. The bowl, which represents Mother Earth, is fashioned from pipestone. The most elaborate Pipes are four to five feet long, adorned with hawk feathers, fur, horsehair, quills, inlays, and carvings, often from the Animal Spirit World. Believed to have mystical powers, the tobacco or burnable substances are normally from natural Mother Earth. It is assured the breath of the Great Spirit rises upwards to a connection with the Spirit World and Our Creator. As a respectable object of communication, or portable alter, the Sacred Pipe is used in peace-making, greeting new faces into a tribe's domain, designating an upcoming battle, warding off evil spirits, healing the sick and for a successful hunt or harvest. No prayer or ceremony takes place without the Sacred Pipe.